Lady Bay Rear Lighthouse | Lighthouses of Australia Inc. The Lady Bay Upper Lighthouse at Flagstaff Hill, Warrnambool was moved stone by stone from Middle Island to its current location on top of Flagstaff Hill. The alignment of its light and the Lady Bay Lower Light guide ships into Lady Bay. Originally built in 1859 as the Middle Island Lighthouse. It had a fixed white light run on oil. During 1871-72, the lighthouse was relocated stone by stone to replace the obelisk on top of Flagstaff hill and become the Upper Lighthouse. The Beach Lighthouse light was moved to the top of Lower Obelisk at the same time to form the Lady Bay Lower Lighthouse. The light was originally powered by oil, then gas and later electricity. 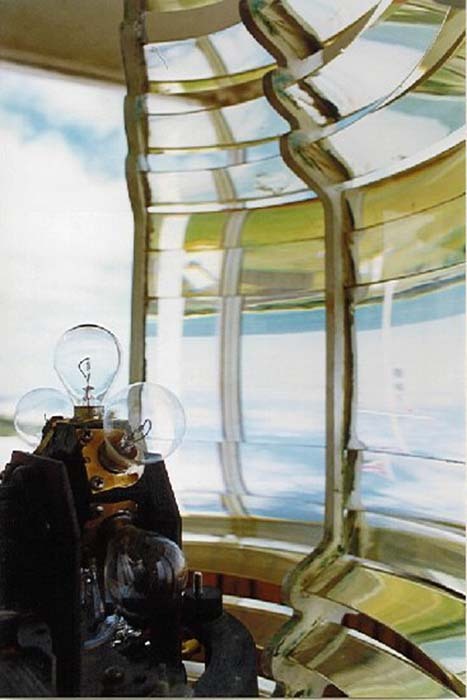 In 1988, the lighthouse was converted to solar power. In 1993, the solar panel was removed and replaced by a 240 volt battery charger. The Upper Lighthouse is still in use. The lighthouse reserve is now part of the Flagstaff Hill Maritime Museum. An entry fee is charged. 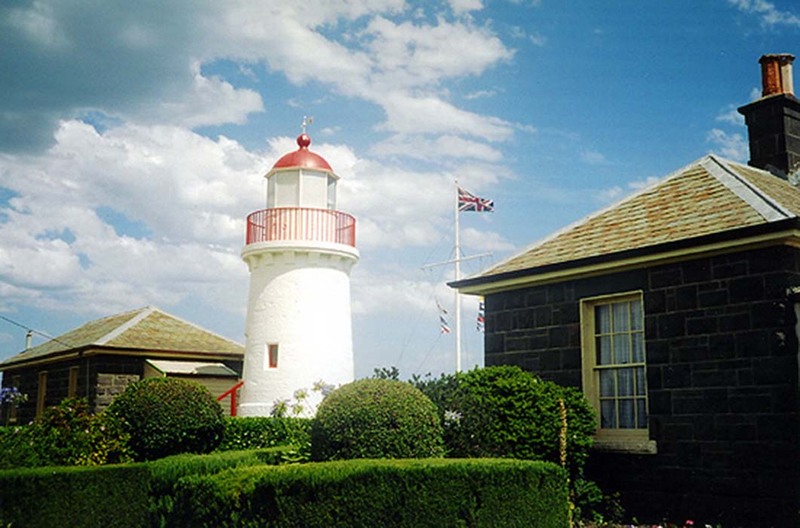 Access to the lighthouse is available with admission to Flagstaff Hill Maritime Museum. Lighthouse Lodge is available to stay. It is actually the original Warrnambool Harbour Masters house. A maritime museum is on site.